The Ford Fusion is a curiously tall hatchback based on the Fiesta model. It's all about practicalities. The Ford Fusion is a curiously tall hatchback based on the Fiesta model. It's all about practicalities, with little concession to style. 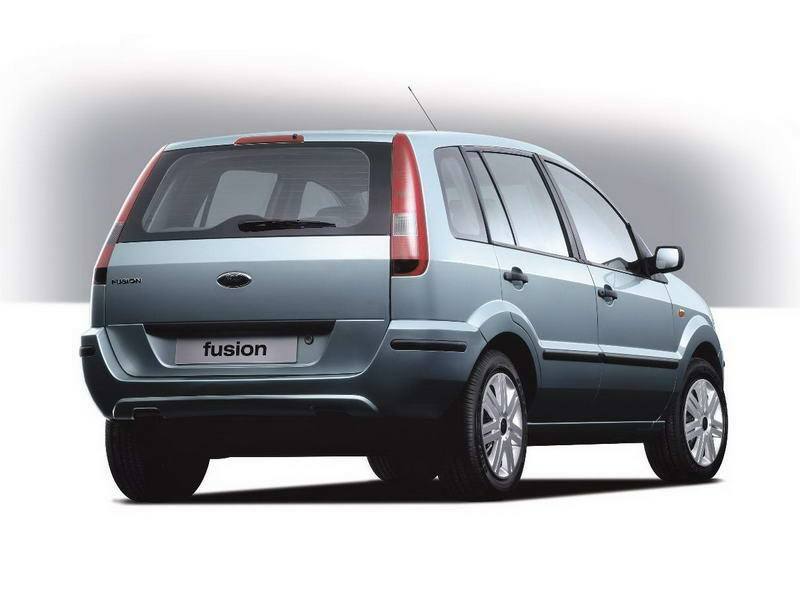 If usefulness and comfort are top priorities then the Fusion has merit, as it fuses elements of both estate cars and compact MPVs, including a large glass area, high seating position and good-sized boot. It obviously appealed to plenty of buyers too, as Ford produced it for ten years, before production ceased in 2012. The Fusion is all about function over style, though it's by no means as offensive or quirky looking as some compact MPV rivals like Toyota's Yaris Verso and Skoda's Roomster. Think MkVI Fiesta and a bit taller - that's the Fusion and the additional height brings with it a better view ahead and all around. It also adds to the feeling of space, not least as you sit a bit more upright than you would in a conventional supermini. Room in the back is generous, with lots of head- and legroom, while the boot is spacious and easily accessed, too. The interior trim brings no surprises if you've ever sat in a Fiesta, though the material quality was enhanced following the Fusion's late 2005 facelift. That change brought some new head- and taillights too, improving the exterior styling a touch - though it's still not exactly a head-turner. The engines and transmissions on offer rather unsurprisingly follow that of the Fiesta it's based on, so there's a pair of petrol units of 1.4- and 1.6-litre capacity, and the same in diesel power. Both four- and five-speed automatics featured, though the five-speed manual gearbox is the most common choice. Trim levels also follow the Ford norm, so you'll find Steel, Argento, Zetec and LX in the classifieds. A 1.4-litre petrol engine will suit most buyers, the diesels only really worth considering if you're going to be doing bigger mileages. We'd opt for a 1.4-litre petrol, and seek out the highest-specified trim level in our budget. If you put practicality above anything else then the Ford Fusion is a very sensible used buy. For all its dowdy looks it's actually quite decent to drive thanks to its Fiesta underpinnings, making this useful Ford more enjoyable than it actually looks.